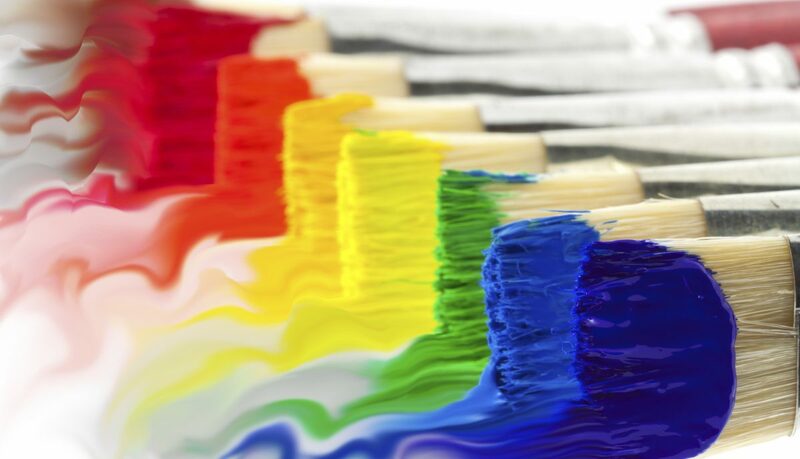 The trending 2018 paint colors are spread far and wide across the color wheel for paint versatility. From minimalistic hues to daring shades, it’s all here in the 2018 selection. Read on for the full paint color palette of the year so you can choose which ones you will choose for your space. The trend towards minimalism continues this year with subtle, pastel paint colors. Muted colors that go together like pale green and sandy pink have popped up on walls in many homes over the last several months. With so many people living stressful, busy lives, the energy at home needs to be tranquil and provide a haven where they can recharge. Soft, barely there pastels work in unison to create a minimalist, calming abode. It’s a wonderful color choice for a home office to help you relax while you work. Another popular choice this year has been lush, deep earth tones. Grounded Charcoal Brown is Valspar’s color of the year. It feels warm and relaxed when in a room with natural light. Yet you can dress it up for a sophisticated look. Benjamin Moore picked a bold hue for their 2018 color of the year. The shade Caliente sure is hot! This daring red is no wallflower. Use this shade in spaces where you want to energize the room. It works great as an accent wall. Pantone also chose a daring color for its 2018 color of the year. Ultra Violet is a paint color that adds complexity and life to any space. This shade has both cool and warm properties which makes it easy to pair with a wide variety of colors. You can partner Ultra Violet with any other shade of purple. And it looks great with greens, reds, and browns. If you are feeling bold, go for an all-purple color scheme in a bathroom or den to test the color out. Or choose to use purple as an accent color on a wall, door, or accessories. Ultra Violet is a color that is associated with royalty, wealth, ecclesiastical power, and counterculturalism. It’s the color of big changes in history. And this year has certainly seen some big changes. If you are looking for a contemporary color that is on trend, Ultra Violet is the way to go. On the other end of the color wheel for paint choices, this year is Behr’s color of the year. It’s called In the Moment. This calm, cool blue is a mix of green, gray and blue. This soothing blend evokes mindfulness and relaxation. And it can work for multiple themes including coastal and modern decor as well as global and traditional. It’s a great choice for both your interior and exterior projects. For 2019, Behr has chosen another blue. This time it’s darker and reminiscent of builder’s blueprints. Hence the name Blueprint for the 2019 color of the year. As you can see, there are many options for a paint color palette to suit your style and space. Do you have your color scheme picked out? Check out these 5 reasons you should use a painting service instead of doing the work yourself.